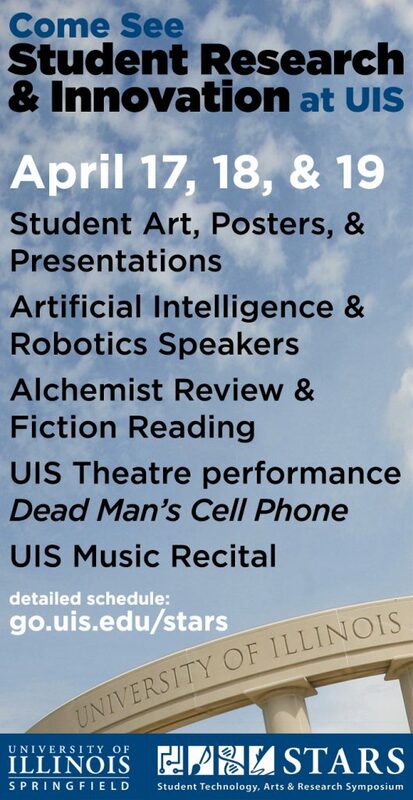 The Student Technology, Arts & Research Symposium (STARS) starts today (4/17/19). This campus-wide, three-day program features all types of students (undergraduate, graduate, on campus, online) presenting the results of their research, scholarly, and creative activities. The projects presented at STARS are the result of faculty-mentored hands-on experiential learning by students at UIS. Our students actively pursue study abroad, service learning, case studies, as well as research, art, and music performance opportunities. Such high-impact learning practices were recently recognized in the UIS Strategic Compass as one of our strategic pillars, Experience Engaged. Skills developed during STARS, such as professionalism, communications, networking, and project management, prepare students for success in their future careers. Over 90% of UIS students are successful in obtaining employment or subsequent education within 12 months of graduation. Hannah Trad (PSC ’18) shares her STARS experience. The Capital Scholars Honors program publishes a journal of student scholarly and creative work, called Continuum. The most recent publication, Volume 6, hit the web a few days ago, and features the work of six honors students in various forms, from interdisciplinary research articles to photographs to poems. Biology Major, Nana Quainoo, co-authored an article published in Frontiers in Genetics. The research, conducted during her internship with Southern Illinois University School of Medicine professor Andrzej Bartke, relates certain mutations in mice to long life. 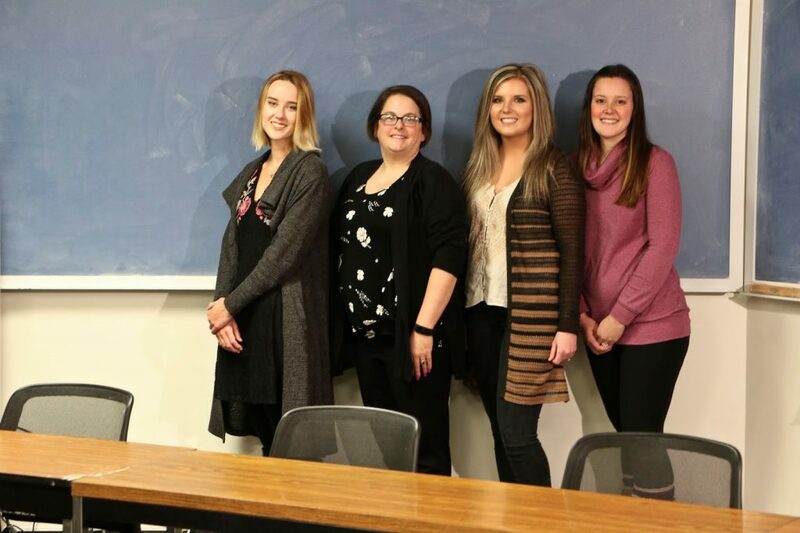 Students in the Teacher Education Program wrote a peer reviewed article for Wikipedia during their “Managing the Diverse Classroom” course with assistant professor Jennifer Martin. Visit the full article to read more of their story. They will present about their experience at the Student Technology, Arts & Research Symposium on the campus of UIS April 17-19, 2019. The full schedule is available at https://go.uis.edu/STARS. Additional student publications include The Alchemist Review, which is launched annually at STARS. A literary and arts magazine, written and edited by students, has been published for over thirty years. A similar publication for graduate students is published online, called Uproot. Other UIS student scholarly products, including Undergraduate Research Award winners, can be found on the university’s repository, IDEALS. Search the Brookens Library – UIS/Brookens Library Undergraduate Research Award Winners. From poetry to political science, the history of central Illinois farms to the history of the American Revolutionary War, UIS faculty have written the book on it. And, of course, there are books on Lincoln. Over the past two years, UIS faculty have authored or edited 24 books. Please join us in celebrating their accomplishments with a reception at the UIS Brookens Library on Thurs, Feb. 21, 2019, from 4-6pm. Four authors will be present to sign their books: copies will be available for purchase through the UIS bookstore. Part of the first UIS Authors Festival, the book signing reception will be proceeded by a workshop for faculty on how to publish their scholarly work. Dong, L. (Ed.). (2016). Asian American culture: from anime to tiger moms. Greenwood. Lan Dong, associate professor and chair of English, teaches about the graphic novel as a literary genre. She has also written books on the legend of Mulan and was selected as the University Scholar in 2012. She is currently the Louise Hartman Schewe and Karl Schewe Professor in Liberal Arts and Sciences. Poynter, K. J. (Ed.). (2017). Safe zones: training allies of LGBTQIA+ young adults. Rowman & Littlefield Publishing Group, Inc.
Kerry Poynter is the Director of Gender and Sexuality Student Services and UIS faculty and staff contributed to this practical volume for education professionals. The first comprehensive resource for developing Safe Zone programs and educational workshops to support LGBTQIA+ youth and young adults, his program has been developed into a DVD and used in hundreds of colleges across the nation. Nizamuddin, A. M. (2016). The Patenting of Life, Limiting Liberty, and the Corporate Pursuit of Seeds. Lexington Books. Ali Nizamuddin is an associate professor in the political science department. His area of specialization is international relations with a focus in Asian studies. This, his second book, is on the global dominance of the world’s food supply. Wenz, P. (2015). Functional Inefficiency: The Unexpected Benefits of Wasting Time and Money. Prometheus. University Scholar for UIS. This is his ninth book. UIS faculty bring an international experience to students and the greater Springfield community through their professional expertise, research collaborations, and life experiences. Professor Adriana Crocker of the Political Science Department at the University of Illinois at Springfield exemplifies the international teacher-scholar. She was selected a Presidential Fellow for the University of Illinois in 2017, the first such UIS faculty to receive that honor. Professor Crocker is an award-winning teacher who specializes in Latin American politics, with a strong background in international law and women’s rights, and she worked over the past year to help the U of I System expand its global reach. In particular, Dr. Crocker helped lead a study abroad experience to Cuba, one of the first US teams to travel to that country in 50 years. Conor McKenzie is a senior political studies major who described the benefits of the Cuba trip. 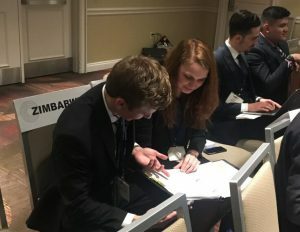 Professor Crocker also directs the Model United Nations at UIS, an engagement experience for students of all majors who work as a team to prepare and present at the National Model United Nations in New York. On December 12, 2018, Dr. Crocker will be part of a panel discussing Columbia After the Drug War, part of the program of the World Affairs Council of Central Illinois. Reception 5:30 p.m.; Dinner 6:15 p.m.; Program 7:30 p.m.
All programs are free and open to the public. Dinners require a reservation. Professor Crocker, who joined the UIS faculty in 2006, is a professor of political science and teaches comparative politics and international relations courses with an emphasis on Latin American politics. In 2016, she received the distinguished Pearson Faculty Award, which recognizes a faculty member whose performance exemplifies UIS’s commitment to excellence in teaching and who stands among the very best teachers on campus. Her research focuses on the role of gender quotas and other institutional mechanisms in serving the interests of women in Latin America. Her 2017 book, Gender Quotas in South America’s Big Three: National and Subnational Impacts, focuses on policies intended to promote the inclusion of women in Latin America’s legislatures and their effects. She has a law degree from the University of La Plata Argentina and a Ph.D. from Northern Illinois University. Due to additional publication costs, not all UIS faculty publications are Open Access, but an increasing number of them are. We recently produced a list of articles freely available on our Faculty Research website. For example, Dr. Michael Lemke (BIO) and co-authors from UIS, the University of Illinois Urbana-Champaign, the Illinois Natural History Survey, The Nature Conservancy, and the University of Maringa (Brazil) published a series of articles in Hydrobiologia, an international peer-reviewed journal of freshwater science. 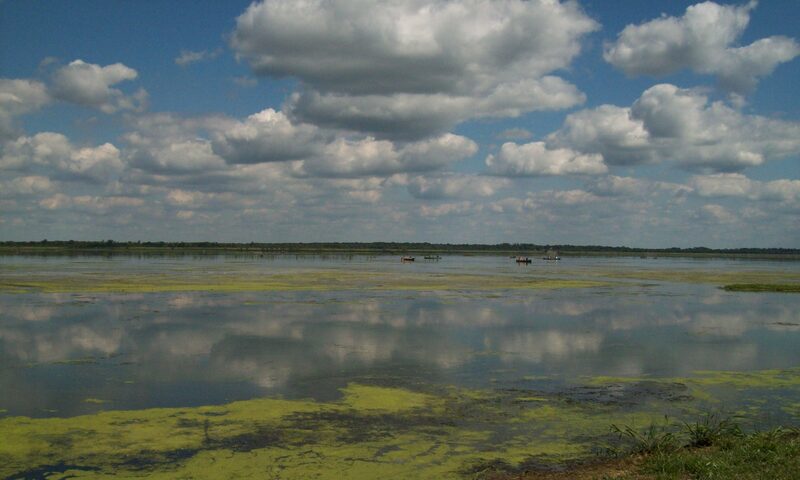 The articles describe research performed at The Emiquon Preserve in the Illinois River valley. Another way that UIS faculty and students share the results of their work is through our institutional repository, IDEALS. The Illinois Digital Illinois Digital Environment for Access to Learning and Scholarship is a permanent online resource, where UI faculty and students can post their work for no charge. Depending upon the copyright agreements with a publisher, the work may be made freely available to the public through the IDEALS site, which is searchable. While some faculty use professional social media sites, like ResearchGate or Academia, to share their work, IDEALS is the official source for UI publications. For example, Dr. Karen Swan (EDL) posted a copy of her article from Internet and Higher Education, on student valuations of a survey instrument related to her Community of Inquiry research in online learning. Questions about IDEALS, how to access Journals at UIS, or the UI Open Access policy, can be addressed to Mr. H. Stephen McMinn, Director of Collections and Scholarly Communications for the UIS Brookens Library. Two UIS faculty have been called upon to advise various local entities on economic policy to improve our region. Bruce Sommer, instructor of entrepreneurship, was appointed the Director of Economic Development and Innovation for the University of Illinois Springfield, as reported in the State Journal-Register (http://www.sj-r.com/news/20181020/local-business-notes-adams-family-to-collaborate-in-hosting-events). His role at the university is to help connect students and faculty with the community to promote business growth and social innovation. This past spring semester our students were busy with research accomplishments, as reported on various media sources. Below is a partial list. We look forward to presenting our student successes this semester. 4/26/2018 WICS TV and WAND TV spots on the fifth annual UI Undergraduate Research Day, in which 12 UIS students presented at the state capitol. 4/25/2018 Council on Undergraduate Research publishes article (SPUR contents PDF) about the UIS Undergraduate Research Certificate program partnership with Students Transitioning for Academic Retention and Success. 4/16/18 WAND TV spot on Environmental Studies students cleaning up Lake Springfield as part of class project through Therkildsen Field Station. 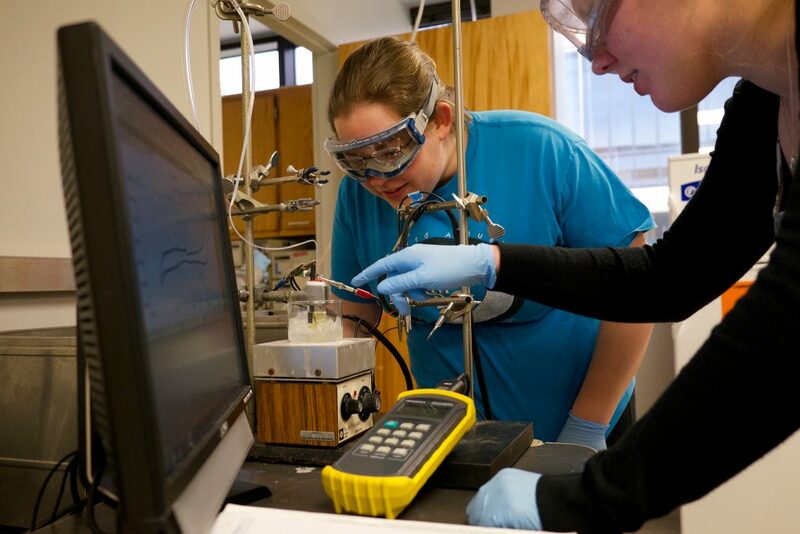 4/9/18 UIS featured on Undergraduate Research Week page of the Council on Undergraduate Research. Despite the recent snow here in Springfield, climate change is real. Next week, as part of Earth Week, the World Affairs Council of Central Illinois will be sponsoring a presentation by Jacqueline Patterson, Director of the NAACP’s Environmental and Climate Justice Program. Her presentation, “Climate Change as a Civil and Human Rights Issue” will present evidence that people of color, low income communities, and women are more vulnerable to the negative effects of climate change. The World Affairs Council of Central Illinois, the local chapter of the World Affairs Councils of America, was founded in 1986 by community members and faculty from Sangamon State University. The initial president was an SSU student, Mary Nolan. UIS Faculty and students are still heavily involved in bringing international leaders to discuss issues locally: Hilary Frost, Associate Professor of Global Studies, is currently Vice President. UIS continues to sponsor the Council, both as an Institutional Member and host for the meetings. There’s still time to sign up for next week’s meeting: for the dinner, contact Michael Plog at 217-793-2509 or mbplog@comcast.net. The lecture at 7:30 p.m. on Monday, April 16, in Brookens Auditorium is free and open to the public, part of the UIS Engaged Citizenship Common Experience Speaker Series. The second part of the conference, A Man of Letters in Music, takes place this week (Feb 22-24, 2018 )in Florence, Italy. Dr. Neginsky will be presenting her analysis of the correspondence between Richard Strauss and Romain Rolland about the opera Salome. One of Rosina’s research interests is the figure of Salome in art, literature, and music. In 2013 she published a book Salome: Image of a Woman Who Never Was. In addition, she is an author of a book on a Russian woman journalist and translator, Zinaida Vengerova: In Search of Beauty, who was responsible for propagating the European Symbolist Movement in Russia. Rosina also works as an editor. Since 2010, she edited three books on Symbolist Movement, the latest of which is Mental Illnesses in Symbolism. She has established a research center at UIS for Art, Literature, Music in Symbolism and Decadence and is preparing to organize another conference, this time in Illinois, with student participation. She is also interested in working with a student on an editing project. Dr. Neginsky is also a poet. She does poetry readings locally, nationally, and internationally. She has published a number of collections of her poetry. Her latest book of poetry is In the Garden of Luxembourg (2015), which was published in English, French, and Russian (2015). Another way that Rosina impacts the community is by organizing and curating a number of art exhibits at UIS and at the Springfield Art Association. The latest exhibition took place at SAA in September 2017 when she exhibited works by an Ukrainian Chicago based artist Lyubov Momot. Rosina earned her PhD for U of I Urbana-Champaign in Comparative Literature. She teaches interdisciplinary subject matters such as Literature and Visual Arts. She is a member of the Art, Music and Theater Department. Her excellent research was recognized by the University of Illinois in 2008 with the University Scholar Award. Dr. Neginsky’s current area of research is Angst in European Symbolism. She is writing a new book on Mikhail Vrubel in Western European Context. Rosina will be presenting her latest research and signing her most recent book: Mental Illnesses in Symbolism (2017) on April 24, 2018, from 7:30 to 8:30 p.m. in the Public Affairs Center, Conference Room F.
Social media surrounds us, but many feel like these online tools don’t really connect us. So how can faculty connect with their students through online media? Dr. Karen Swan kicked off the Spring Faculty Scholarship Series on February 13th with a presentation based on her most recent book, “Social Presence in Online Learning.” She will also be a facilitator at the Community for Innovative and Engaged Learning Symposium on February 15th. Dr. Swan is the James J. Stukel Professor in the Department of Educational Leadership. Swan received the Sloan Consortium for Asynchronous Learning Networks Award for “Most Outstanding Achievement in Online Learning by an Individual” in 2006 and she is one of the most highly cited faculty at UIS. Students in her online classes are working towards becoming school principles, among other leadership roles. To improve student learning outcomes, Dr. Swan designs her courses to create social presence. For example, she scaffolds multiple varied discussion boards to build cohesion. She also uses the journal tool to communicate one-on-one with her students. It doesn’t matter so much what the media is, but what the instructor does to build connections, since learning is social. You can read more about Dr. Swan’s research in her book. Keenan Dungey on Angst and Amadeus! Katie McEvoy on Angst and Amadeus!